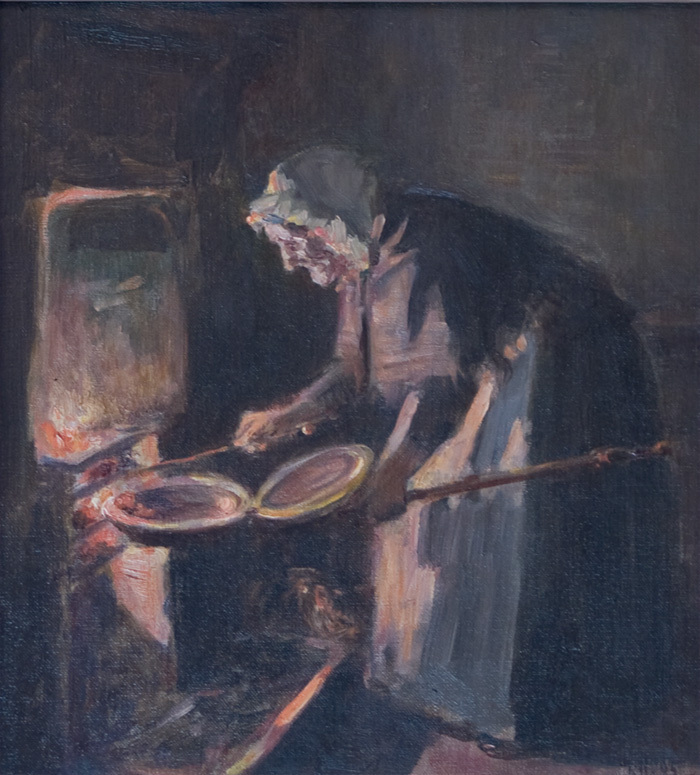 Filling the Warming Pan Ralph Hedley RBA (1848-1913) Oils on Canvas 13" x 11". Initalled and dated '95. Oils on Canvas 13" x 11".